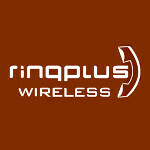 RingPlus announced today that Sprint has given their approval for an initial MVNO launch in San Francisco, New York, and Los Angeles. RingPlus has been the industry leader in the ring back tone market, and now plans to get into the private label service provider field. While its announcement is vague, RingPlus says it's a "free-spirited telephone community in which all users interact in an environment of trust, honesty, and respect. Ringplus' end goal and future vision is to provide unlimited free-calling to the world paid for by advertisers through advertisement ring back tones." While it only offers a mean to sign up to be notified of updates, the teaser page RingPlus has launched hint that the new MVNO will offer mobile voice service in exchange for callers listening to an advertisement or sponsored message. It will be interesting to see how this plays out as they're pioneering this type of service. Its been a successful model for other services such as FaxZero and NetZero, among others. In a world saturated by advertisements, we're excited to watch RingPlus's offering play out. The question will ultimately be if people will be willing to listen to advertisements in exchange for free or subsidized mobile phone service. Honestly I would pay not to listen to advertisements. But hey this may be good for low income individuals or families that need to stay in touch with each other. Good concept. but clearly not for everyone. I feel like they will have to be careful on which markets they introduce this into. Sure, but I would be more interested in paying for a cheaper mobile plans w/ data, & bringing over any Sprint phone I want to use their service. Oh look, yet ANOTHER Sprint MVNO. Why am I not surprised.? We can now talk with any kinds of people from any country without any problem. There is no need of any translator people now. We ourselves can discuss any matter with another language people. Because now we are introduced with ringplus voice translator technology.